Mark Stuart is an Assistant Professor in the School of Politics and International Relations. 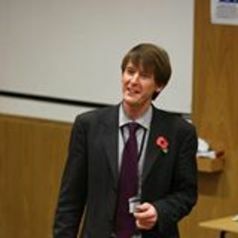 For the last twenty years, his main research area (along with Professor Philip Cowley) has been in the realm of parliamentary voting behaviour. He has also published widely in the field of British political biography, having penned portraits of Douglas Hurd (1998) and John Smith (2005). His latest biography - on Eric Forth - is due to be published in the late autumn of 2017.